The Govt. 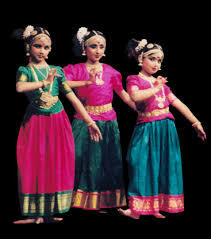 of A.P has initiated a scheme called "Kuchipudi Sikshna Pathakam" to teach Kuchipudi in Govt. High Schools in A.P. For this purpose the Andhra Pradesh Creativity & Culture Commission, Kuchipudi Natyaramam has selected 172 Kuchipudi teachers to teach dance in the above mentioned districts. The list of teachers and the letter from the Dept. of Language and Culture is annexed herewith. In the reference 2nd cited, The Director, Department of language and culture, Vijayawada, A.P has requested for the allotment of schools to the selected Kuchipudi dance teachers. Details of the programme are as follows. 2. They have to conduct 10 instructional hours in 5 schools together @ 2 hrs on a single day/ 1 hr on two separate days in each school per week. 1. The programme should be conducted in High Schools of ZP/Govt./APMS/KGBV managements. 10. The children learning Kuchipudi dance may be encouraged to perform the School Programs, participate in Kala Utsav Competitions and other events in the community. It is further requested to complete the entire exercise within a week and ensure that the Kuchipudi dance classes commence from the a term beginning onwards. A copy of the list of allotted schools should be communicated to SCERT and CSE offices by 30.09.2017.